Bankruptcy rules are the mandatory requirements that surround the bankruptcy process. Bankruptcy rules are codified in the United States’ bankruptcy laws and subsequently upheld by the bankruptcy court system. Bankruptcy rules are administered to affirm a debtor’s eligibility and to ensure that a prospective filing abides by the nation’s bankruptcy laws. The system is thorough and absolute; bankruptcy rules are applied to every case to ensure the delivery of a legal and sound filing. In addition to regulating eligibility, bankruptcy rules are attached to the tangible bankruptcy process. These bankruptcy rules create time constraints and impose requirements concerning the delivery of financial information. The following is a list of fundamental bankruptcy rules applied by the United States’ Court System. As stated before, bankruptcy rules are derived from the United States’ bankruptcy law. Bankruptcy law provides for the construction of a plan that enables a debtor—who is unable to fulfill his or her debt requirements—to resolve his debts through the division of assets or the development of a repayment plan. This supervised plan allows the interests of creditors to be treated equally. Furthermore, certain filings allow a debtor to stay in business and use any future revenue to resolve the outstanding balances. Bankruptcy rules are federal statutes contained in Title 11 of the United States Code. The United States Congress passed Bankruptcy Rules under a Constitutional grant to establish a series of uniform laws on Bankruptcy. Bankruptcy rules affirm that individual states may not regulate bankruptcy; however, they pass laws that govern ancillary aspects of the creditor-debtor relationship. 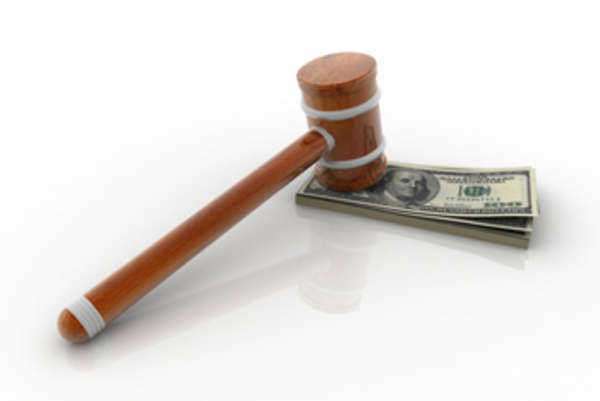 Bankruptcy claims are litigated in and supervised by the United States Bankruptcy Courts. This court system is a part of the District Courts of the U.S. The United States Trustees—attached third parties—will handle the majority of administrative and supervisory duties of a bankruptcy proceeding. These trials are governed by bankruptcy rules which are promulgated by the Supreme Court under the direct authority of Congress. There are two common types of Bankruptcy proceedings: Chapter 7 filings (liquidations) and Chapter 11, 12 and 13 (rehabilitation filings which enable the debtor to reorganize a business or use future earnings to pay-off creditors). In a liquidation proceeding, the court appoints a trustee to collect non-exempt property of the debtor; the trustee will then sell it and distribute the proceeds to the listed creditors. A trustee will be appointed under all filings to supervise the assets of the debtor. 3. Rule 1002: A petition must be commenced and filed with the clerk to engage in a bankruptcy filing—these Bankruptcy rules govern the delivery of forms and procedure in bankruptcy cases.